"Leather goods are found in abundance here, as you can tell from all the Lake Garda shoe shops you will see here"
Italian leather is everywhere here. 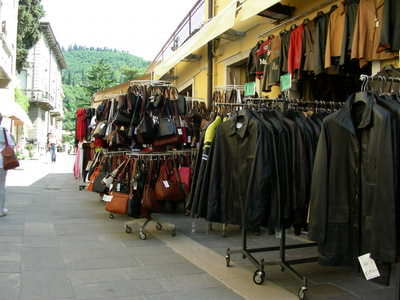 Just look at the number of Lake Garda shoe shops, leather clothes and bag shops you will see around here! It's difficult not to buy a new pair of shoes or a new bag when there are so many fantastic looking examples in the shops at Lake Garda. I have to mention here that the shoes in Italy are extremely stylish and of excellent quality...and very reasonably priced! My dad went a bit shoe-crazy there and ended up buying six pairs! They're hard to resist when they look so good and they have all the latest styles! So why not be the envy of your friends when you get home and treat yourself to a new pair or six!!! If you are not sure what Italian shoe size you are, look at the size comparison chart on the clothes page. There are 2 main types of shops where you can buy leather goods. The small, local shops offering products made nearby or the trendy boutiques of the larger towns laden with the top brands. The local shops offer great value and we often got really good deals by buying a pair of shoes, belt and a bag altogether. Most shop keepers will give you a discount for buying several items at one time, so take a good look around first and then try and get them all at once. The trendy, designer shops, such as Prada or Gucci, are going to be expensive, but this is the case anywhere in the world. The good thing is you know that you are getting the authentic and latest designs fresh from Milan. There are other great leather goods that you see in the shops around here. Belts are very popular and very cheap, as are wallets too! You will also see leather jackets and gloves in these types of shops. I picked up a really nice leather wallet last year and it only cost me 5 euros!! 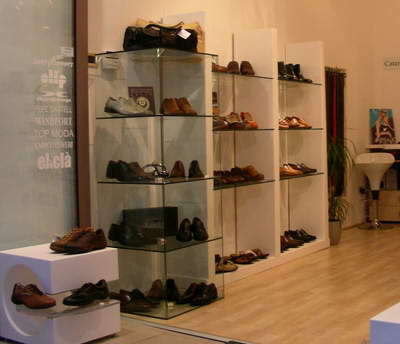 Which is the best shoe shop at Lake Garda? 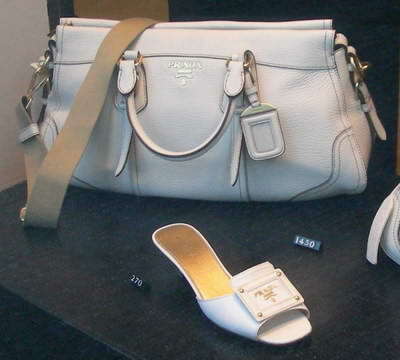 Do you love shopping for all those lovely Italian shoes at Lake Garda? Which is the best shoe shop you have found here? Why not share your story about it and you are highly likely to get your own spot on our website! Your story could well feature on a dedicated web page and may even get in our newsletter too! How good would it feel to show your friends and family your own Lake Garda story on a well respected Lake Garda site! We love pictures as well, so feel free to send us your best shots and there will be no mistaking you then!